Developing skills is our process and having "skilled kids" is our goal. We use standardized assessments and clinical observation to assess your child's skills. We provide consultative support, correctional strategies and intervention to develop your child's skills. Skilled Kids has been providing private paediatric occupational therapy services to Vancouver, the lower mainland, North/West Vancouver, Squamish, and Whistler since 2008. Skilled Kids OT offers services to enable parents and to empower their children by offering specialized paediatric knowledge, skills, tools, and treatment. Our OTs can travel to your home on the North Shore or in Vancouver to provide treatment. Mahshid Hosseini, MSc, BSc(OT), Reg. OT (BC), Occupational Therapist, director, has over 20 years experience as an occupational therapist, a Masters in Rehabilitation Science from Queen's University, and a Bachelors of Occupational Therapy from the University of Western Ontario. She has attended numerous post graduate workshops and courses over the years. She has also held a number of workshops and has presented for parent groups, professionals and organizations on various topics including sensory integration, therapeutic listening, sensory motor challenges and other areas of paediatric occupational therapy. Often children come to Mahshid with a sense of helplessness. Mahshid believes in instilling confidence and happiness in children, and coaches parents to help their child build self confidence. She works with children in a non-threatening, natural, playful environment, gradually building their skills while empowering them. Improved self confidence leads to building skills, and carries out through life. Mahshid is mother of 2 children, 21 and 15 years old. In her free time, she spends time with her children; she loves yoga, hikes, skies and is learning to ice skate. Mahshid is registered with the College of Occupational Therapists of BC. She is a Registered Autism Service Provider. 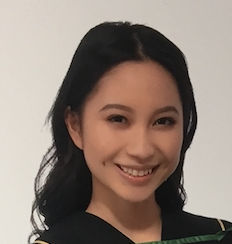 Jessica Liang, OTA, will be graduating as a Kinesiology student at UBC this November. Upon receiving her Bachelor’s Degree in Kinesiology, she hopes to pursue her degree in the Master of Occupational Therapy Program. Jessica has been working at Skilled Kids as the Administrator Assistant for over a year. Her work at Skilled Kids has been rewarding and she has learned a lot about pediatric occupational therapy in the process. Jessica enjoys working with kids and has over 8 years of experience working with children of all ages; she is a registered Piano Teacher under the Royal Conservatory of Music and is a Day Camp Sports Leader at UBC Summer Camps. She has also organized several charity events with her UBC Competitive Cheerleading Team to promote healthy physical, mental, and social development among children. Jessica is friendly, energetic and creative, which allows her to create a positive impact and foster growth at Skilled Kids. In her free time, she spends time with her family; she loves to hike, bike, and read. Jessica is fluent in both English and Chinese. Support Staff has access to client files for administrative purposes.